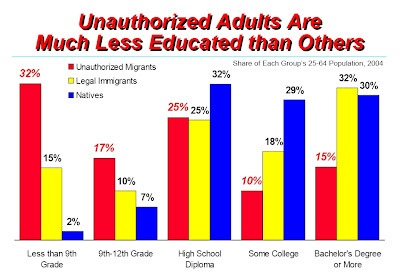 The Brookings Institution has recently published a new report telling the world that we have been wrong all along about the educational level of immigrants. We have been conditioned by the media, the politicians and other global institutions to read the term "immigrant" as "undocumented," or at best combining the two. And indeed the Brookings report lumps them all together without distinction. 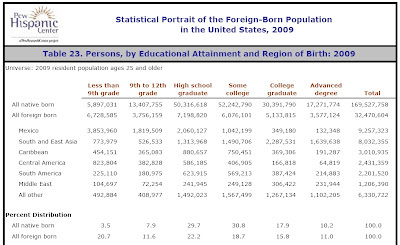 Their source of the raw data is the 2009 ACS data from the Census Bureau. 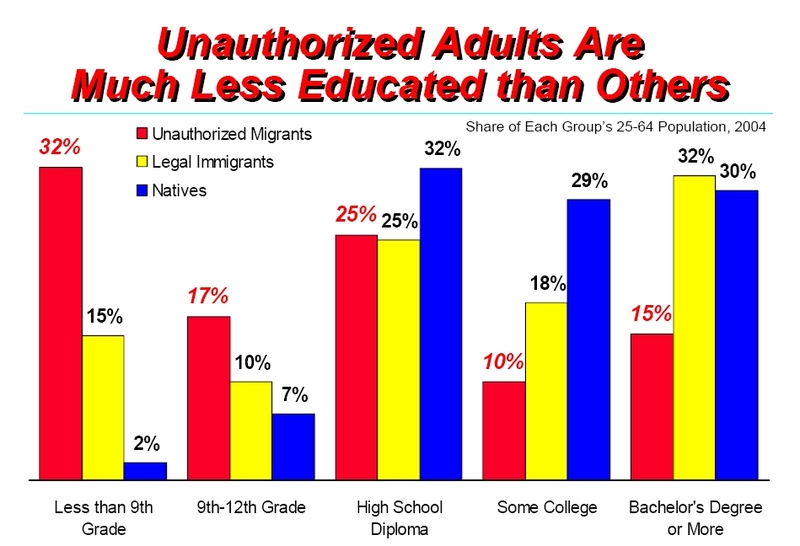 It would appear from the release of the report that the stereotype that Hispanic immigrants and Hispanic illegal aliens have a low educational level is incorrect. 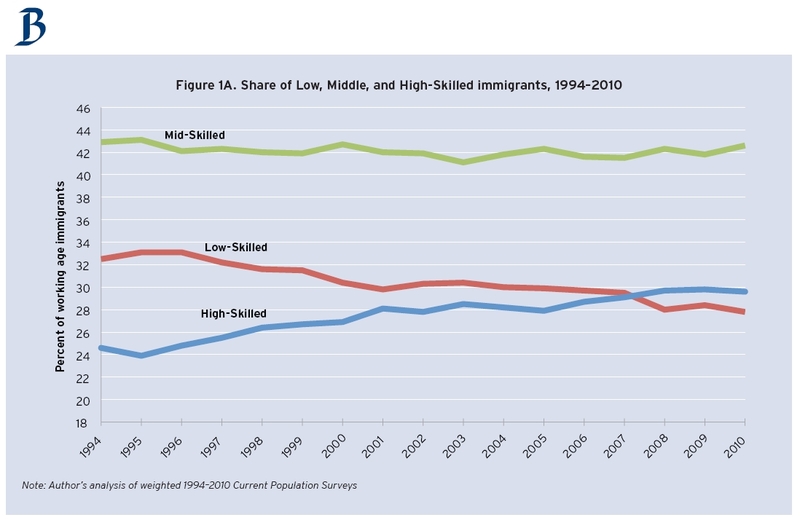 Or perhaps that the flow of immigrants from Latin America has slowed, and the pace has significantly increased from developed nations. I am showing the Mexican Born data because that one country represents over 28% of all the foreign-born residents of the United States and a whopping 60% of all illegal aliens. And those numbers do not include their US-born children. 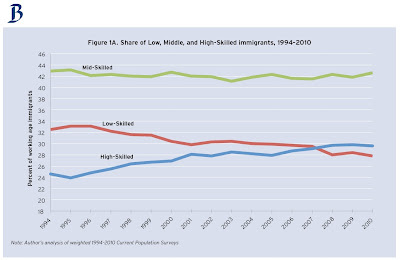 In conclusion, this is a puff piece released during the amnesty season in Washington to distort long-standing data about the skill level of illegal aliens. Like Obama, they want Americans to think of Microsoft employees when they hear the word “undocumented,” but it is hard to ignore reality. Did I mention that Brookings gets their funding from George Soros and isn’t really anything like their motto of “Quality. Independence. Impact.”? But their website looks clean and professional if that counts for anything. What does it mean to become a "Public Charge"?